What could match a sweet and tender love? We’ve combined 9 white roses, which symbolize the purest love, with 2 red roses, which bring the passion present in all relationships. 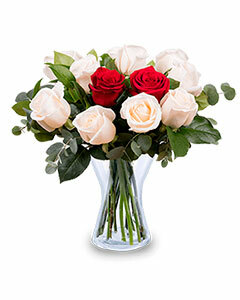 This is one of our most complete bouquets which will help you to send a message of sincere love. Tell someone that you love them without words!